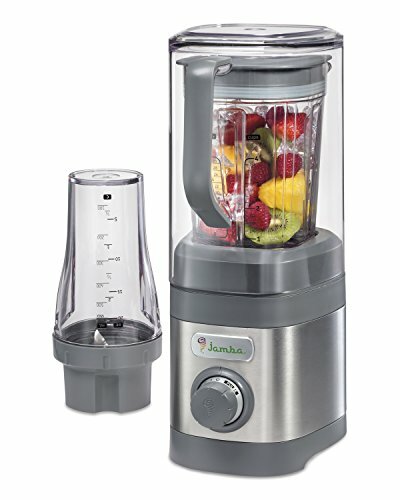 This trendy and best-selling product feature a 2.2-peak horsepower motor and stainless steel blade construction. It also has a 2-piece Santoprene rubber lid with a removable plug. 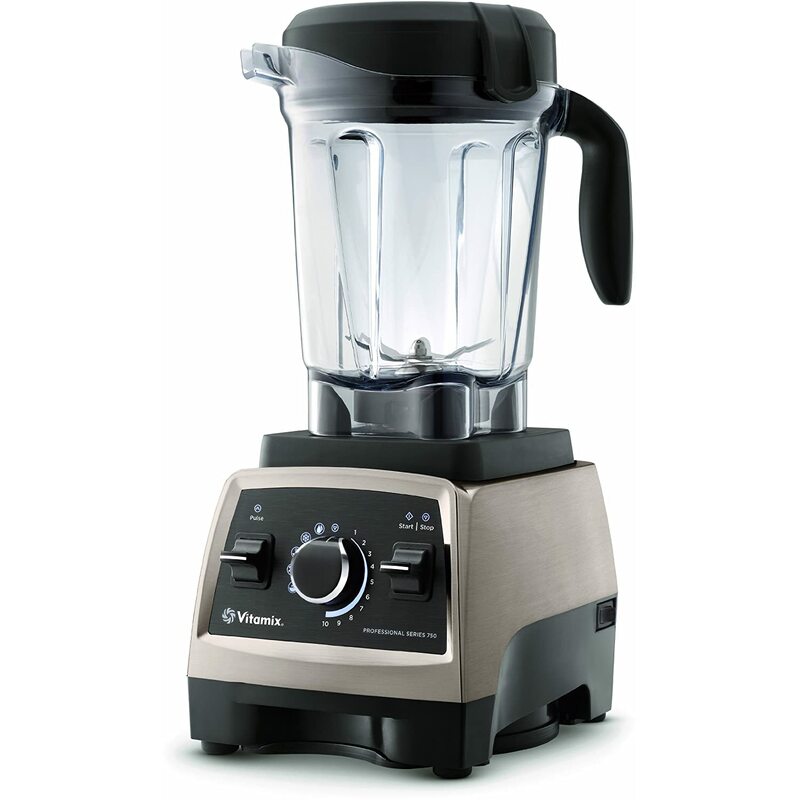 Even in the middle of blending, this allows you to add more ingredients. 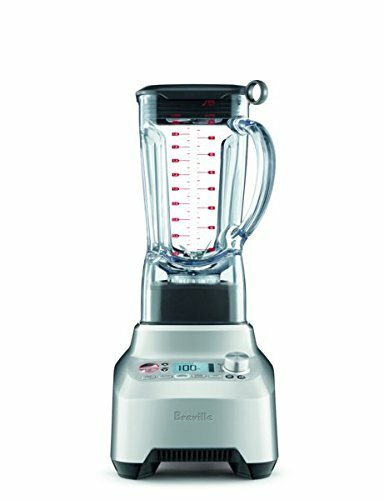 Also, there are five settings (smoothies, purees, hot soups, frozen desserts and self-cleaning) and a pulse feature as well. You can fill it to the capacity, turn it on and you’re still guaranteed a mess-free kitchen. 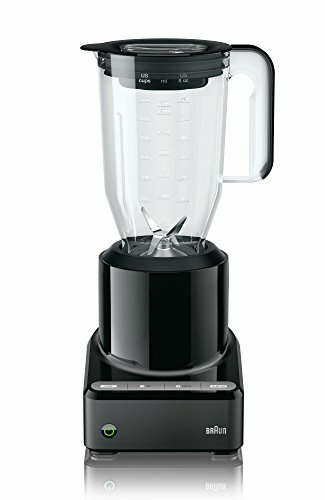 The lid doesn’t fly off mid-use when the blender is full. You don’t have to chop and slice everything into smaller bits. The cookbook in the package isn’t reliable, and you may need to make some adjustments. Some baby food recipes are way too bland. This product features a two-peak horsepower motor, five one-touch functions, variable speed dial, high-velocity blade and bowl system, and timer function. It boasts of pulverising any combination of ingredients which makes the food smoother, tastier and easier to swallow. You can make frozen baby foods or desserts for the entire family. It features an illuminated control panel, two speed modes with an auto pulse, an ice crush program and a smooth-crush blade system. 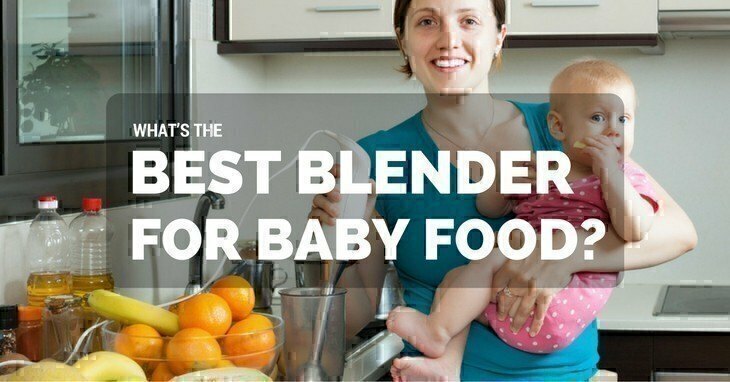 It encourages your culinary creativity because this heavy duty blender allows you to mix various ingredients (even those hard to crush and grind ones) and make something delicious and nutritious for your baby. 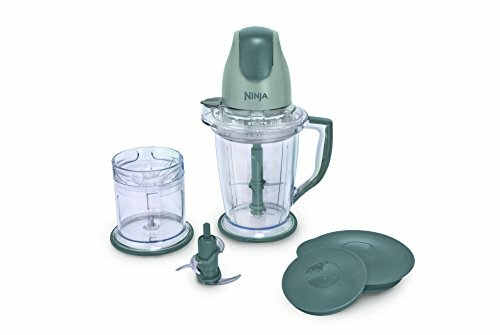 This heavy duty blender isn’t just good for making purees for your baby but can be used by the entire family too. 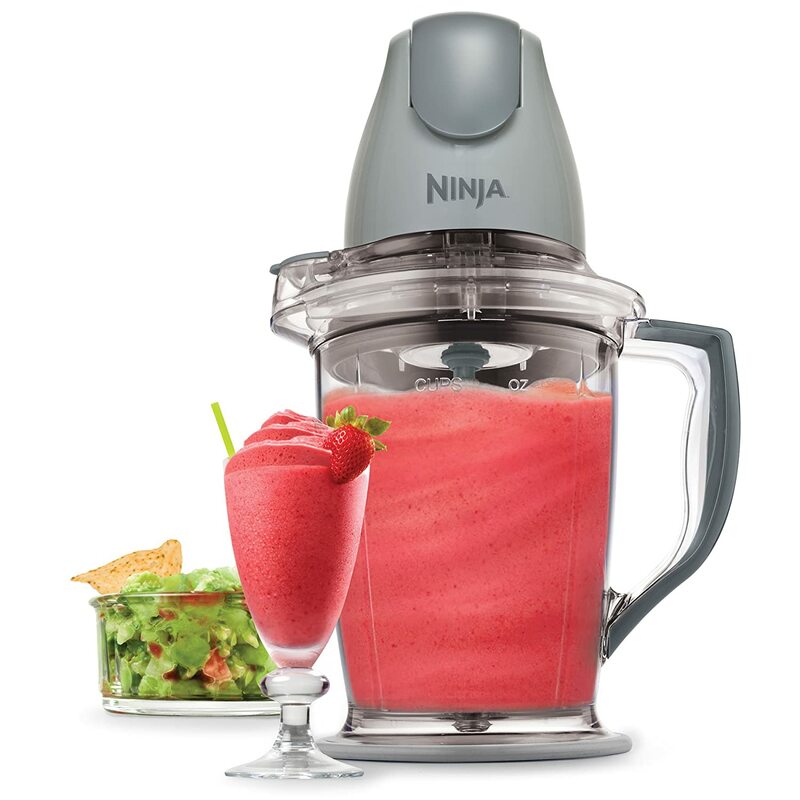 It features quad-blade technology, a 48-ounce pitcher and a 2-cup processor that makes it easy to blend, mince, chop, dice and puree. It also contains anti-spill splashguard and a non-slip base. This stylish blender features a powerful 1.6-peak horsepower motor, infinite speed control with pulse, and a sound enclosure that helps to minimise the noise while in use. The package also includes a 32-oz shatterproof jar and its metal drive with stainless steel blade makes it significantly easy to cut through frozen fruits and vegetables and hard cheese. For Baby-Led Weaning, you can just steam vegetables and let your child pick them up and eat as is. But for those like me who wanted to incorporate various veggies and fruits in one plate, you need to blend them until you’ve reached the adequate consistency and thus make it easier for your baby to swallow the food. And it’s way simpler than you think as long as you have a reliable, high-quality equipment. All you have to do is cook or steam the food, let it cool for a few minutes (but not too long because it may harden) and just toss it into your blender. Wait for a little bit then voila, your baby’s meal is now ready. Although there are several options in preparing (microwave and boiling are good too), the best choice would have to be "steaming" since it’s the process that retains most of the vitamins and nutrients in the food. Another benefit of pureeing or blending the food is you can freeze it for later consumption. Just transfer the mixture into the ice cube tray and cover it. Some say you can use foil or plastic wrap, but I’m not a fan of using any of the two since they can get into the food. I suggest you invest in a good tray with cover lid. Once they’re frozen, you can put them into the freezer bags. Don’t forget to label the bags and include essential information such as date and ingredients used. It should be consumed no more than a month after making it. Don’t put too much in the blender container. I used to make the mistake of adding so many veggies that they eventually reach the top and I thought it was okay because they’d reduce in size once blended. Well, I was wrong. I had to put out several cubes of sweet potato so the blender could work. Also, don’t push your equipment to its limits. You can thin out the puree with milk or water. In my experience, I made sure always to include a fruit or vegetable that contains lots of water. Well when you steam it, it will also likely feel like mush (e.g. squash). So I usually didn’t add any more liquid to the mix. But really, it’s your choice. Get creative! You can mix and match the vegetables according to what your baby likes. Like when I added broccoli (my son hates it), I’d balance the taste by adding sweet potatoes to ‘conceal’ the other veggie. Sometimes, instead of putting the pureed food into the ice cube trays, I’d put it into popsicle moulds. Variation is good when it comes to feeding your babies. They might get tired of the same stuff every day so don’t be afraid to incorporate anything nutritious. ?Don’t introduce new veggies or fruits at the same time. I got this advice from my paediatrician. If you’re adding something they haven’t eaten before, wait for three days before introducing another new one again. It will make it easier for you to pinpoint the culprit if ever your baby will get food allergies. 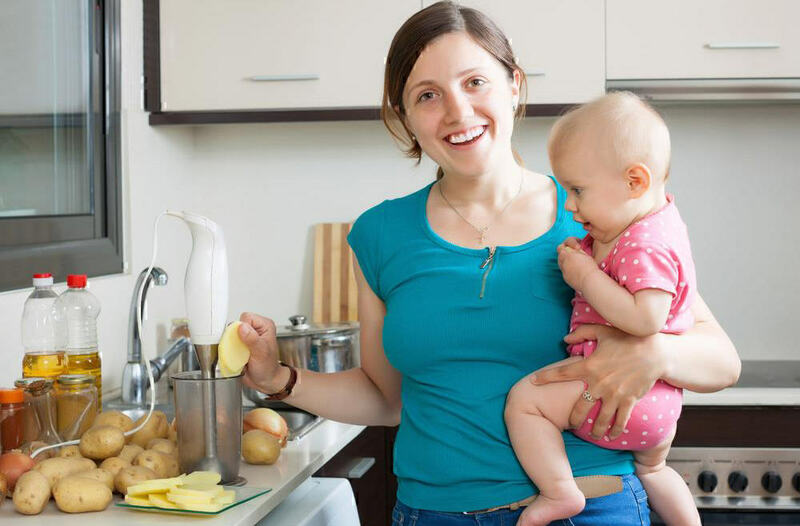 When the baby is 6 months old and has started feeding, you can use a juicer to make the juice and dilute the juice or vegetable juice into your baby's meal. This will help baby’s body absorb iron easily found in food. Wash the banana using vinegar and water then rinse it under running water. Open, peel and remove the ends. Toss into the blender and puree until smooth. You can add in whatever liquid you prefer but do it slowly until you achieve your desired consistency. Wash, peel and chop the squash and apricot. Boil the squash for about 15 minutes or just until it’s tender. Drain it and toss the squash and apricot into the blender. If it’s too dry, you can add some liquid. Boil potato in unsalted water for a few minutes until it’s tender and easy to mash. During the last few minutes of boiling, steam the spinach on a sieve over it. Drain the water, and blend the potato adding spinach a little at a time. You can thin the puree by adding milk. You can further add water depending on how thick or thin you want the mixture. Blending and pureeing your baby food is way better than buying the ones you see in the market – yes, even those labelled ‘organic.’ You just don’t know what goes in them (for example, lots of preservatives). With the puree, not only do you have control over the ingredients but you can guarantee that it’s the healthier choice. Plus, it encourages your creativity to mix various fruits and vegetables. 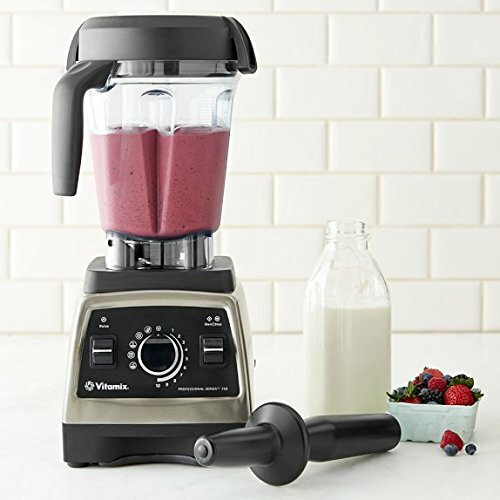 The clear winner here would have to be Vitamix. Its disadvantages aren’t exactly deal-breakers and something you can easily remedy. If you can’t trust the cookbook, there are always hundreds of recipes on the internet.